I have shown many city scenes from my many visits to Germany. This entry, I take the opportunity to show some non-urban scenes. 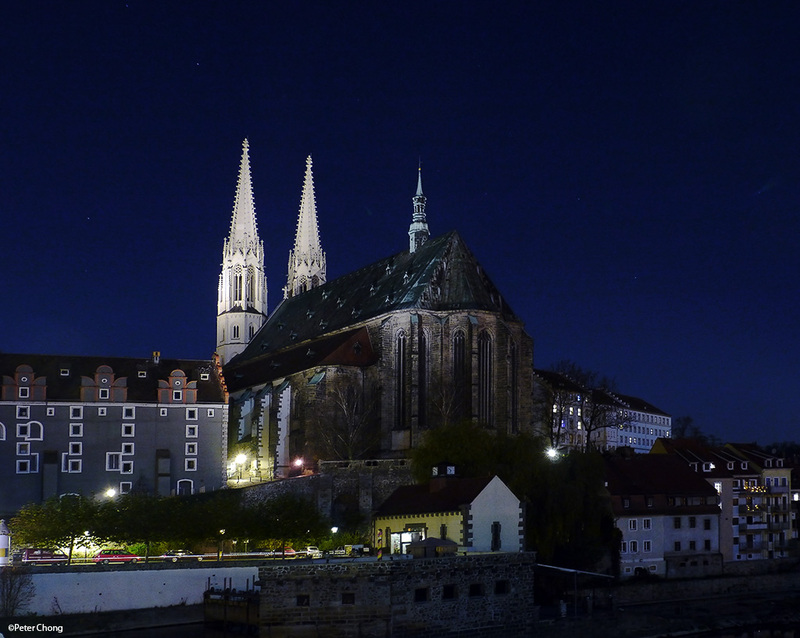 First, still somewhat urban...in the city of Goerlitz, the most Eastern city of Germany...the cathederal, photographed about 8pm, from the Czech side. From the bridge which crosses the Lusatian Neisse River. f/8, 10 second exposure, iso800. Panasonic Lumix GH-2 with 14-140 lens at 17mm. Next week, the castle at Bad Muskau.